The Mi7 flagship is expected to hit the market in Q1 2018 and it could also include a rear fingerprint sensor, a 16 MP camera and facial recognition technology. 2017 has been a good year for Xiaomi, as the Chinese company started to expand into India and the shipping volumes have reached 10 million units per month in the last quarter. Smartphones constitute the bulk of the shipments, and Xiaomi has launched quite a few models this year, including the Mi6 that was supposed to be the flagship, even though the specs don’t really scream high-end. However, the company is planning to release a true flagship in 2018, and rumors on this matter are already surfacing. According to the Chinese site MyDrivers.com, the Mi7 should come in 2018 and will be powered by Qualcomm’s Snapdragon 845 SoC coupled with 6 GB of RAM, and could also integrate a fingerprint sensor on the back, along with a 16 MP camera. 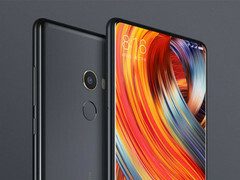 The Mi7 would be the first Xiaomi smartphone to integrate a 6-inch AMOLED display with edge-to-edge design, which will be manufactured by Samsung. Facial recognition features could also be included, even though Xiaomi recently stated that this technology is not yet ready for mass produced devices. The Mi7 is expected to sell for ~US$400 in China, but the actual launch date is still not clear, Q1 2018 being the best estimate for now.